Designed by Charles Eames and made by Herman Miller in the late 50s/early 60s. Original fibreglass weave shell in super-rare pink (also known as magenta) - this is only the second one we've had in this colour which is by far the rarest, most valuable. Mounted on shockmounts and original black H base. Original Herman Miller stamp on underside of shell. 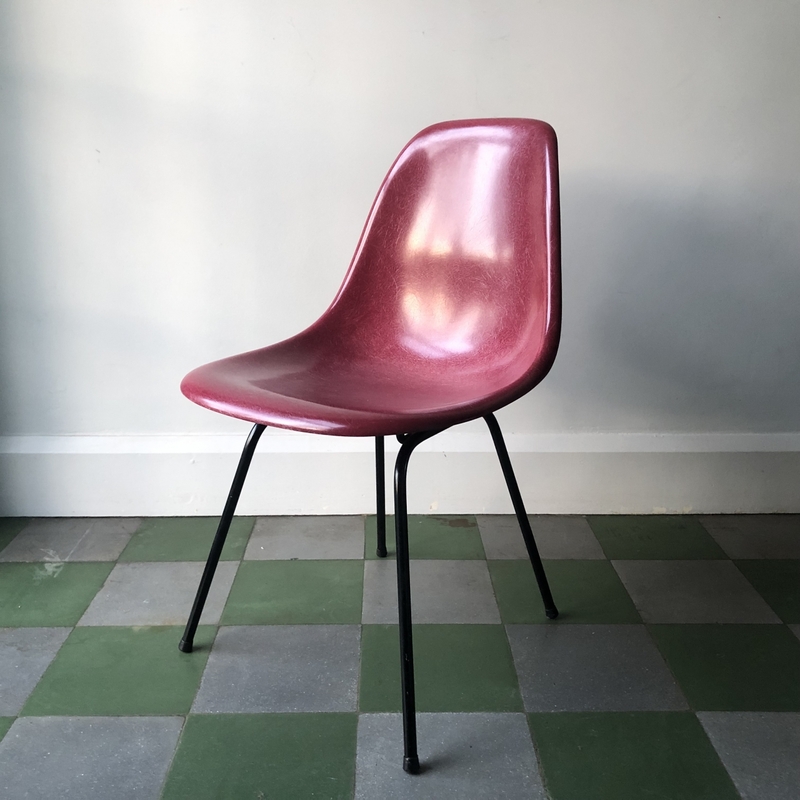 The contemporary version of this chair is made of polypropylene, which in our opinion, is not a patch on these original fibreglass models, which age beautifully. This chair can alternatively be supplied with an walnut, oak or American maple wood base, if you would prefer, or a metal Eiffel base. In very good overall condition, with just a couple of very small scuffs here and there to the edges of the shell, in keeping with its age, but nothing noticeable. A stunning chair - a totally classic, very collectable piece. The seat and base will be dismantled for safer shipping but can be bought fully assembled if so desired - please let us know in this case and we will let you have a shipping quote.